This is a template of a simple but addictive game "Spinning Circle". The game can be re-skin very easily and by using different assets a completely different game can be made in which the player have to match different items or anything other than colors. The game has two modes. 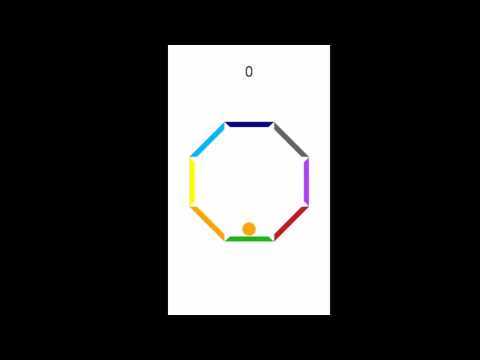 Game Play: The player has to spin the circle to match the bottom bar color of the circle with the ball color. In every jump, the ball changes its color. The game has two modes. In the first mode, the user can tap on right to rotate the circle clockwise and tap on the left to rotate the circle anti-clockwise. In the second mode, the circle only rotates anti-clockwise when the user taps. Complete documentation is provided with the code file for setup and re-skin instructions.